“The intelligence makes very clear that the Maduro regime continues to put snipers in towers,” Pompeo said with a laugh, “And do things that are horrible, repressive and the American policy is to work with our Latin American partners to try and restore democracy,” he said. 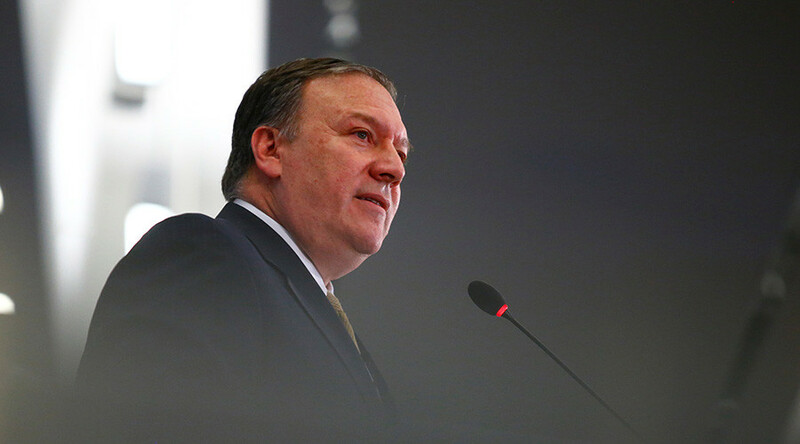 In July, Pompeo suggested the CIA is working on regime change in Venezuela during a talk at the Aspen Security Forum. “America has a deep interest in making sure that it is stable, as democratic as possible. And so, we're working hard to do that, I am always careful when we talk about South and Central America and the CIA, there's a lot of stories," Pompeo said to laughter from the audience. Far from it being a joke, US intelligence has been involved in attempted regime change and coups across Latin America between the 50s and early 90s. “We are very hopeful that there can be a transition in Venezuela and we the CIA is doing its best to understand the dynamic there, so that we can communicate to our State Department and to others.” he added.